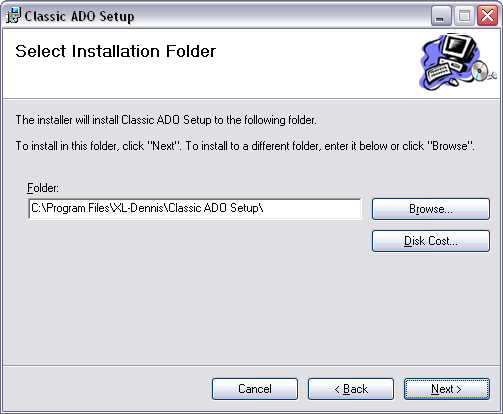 When we install new software we usually are given the options to either install it to “Everyone” or “Just Me”. Under normal conditions this is not an issue but suppose that we only want to install the software to either the person (“Just Me”) who installs it or to everyone who will be using the computer? 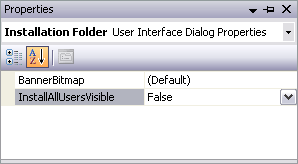 Of course, we need also tp update the settings accordingly in the Registry Editor so it reflect the visual design. In the second case, install to everyone who use the computer, it’s more difficult to hide the option “Just Me”. At least, I have not yet find an easier way. The tool that comes to our rescue again is Orca (see UAC Compliant and The Orca Tool – A MSI Creator and Package Viewer). With Orca we can view the Setup package and also change the required settings. I will not in detail describe the process as it is already documented by MSFT in their KB article 835460 – How to use the Orca database editor to remove the “Everyone” option and the “Just me” option from a Windows Installer package that you created by using Visual Studio .NET. Yes, that’s an impressive long title! At present my time table does not permit me to explore new things so I have postponed delving into some areas to the next year. However, in some cases I have made some research to get access to interesting sources and tools which I hope will help me out. LINQ is one area that is of high interest which may replace SQL within the foreseeable future. VS 2008 is the first development suite that includes LINQ. I prefer books that target one specific area and the book LINQ in Action seems to fit in well. Actually, the book has its own site and it is also available as a PDF ebook. For more information please see LINQ in Action. The developer of this tool, Joseph Albahari, is also one of two authors of the book C# 3.0 in a Nutshell which is highly recommended if we want to learn C# together with another book, Programming C# 3.0. Please feel free to comment available sources about LINQ as well as tools for learning how to use it.